On the stats page of my blog, I saw that someone had googled “never well since pregnancy homeopathic remedy”. I am not sure exactly what their interest was, but I am going to take it as the person is not better since being pregnant, and wanting to know how homeopathy can help. It is a happy time when a baby is born. There are also a lot of changes in a woman’s life at this time. Now, the mother has someone to take care of, who is totally brand new to the world, to itself, and to its mother, father and its siblings. Everyone is learning about each other. We often say, the baby doesn’t come with a how-to manual. There are new roles, new responsibilities, new expectations, new schedules, new personalities, new family dynamics, just newness. After the pregnancy, it is a good time to come for homeopathic care. The homeopath will listen and observe the how and the what of what is bothering the mother – physically, emotionally, mentally, spiritually – and then give the homeopathic remedy that is similar to this. (The main principle of homeopathy is Like Cures Like.) The similar homeopathic remedy stimulates the healing process of the mother. It is safe for the mother to use homeopathy while breastfeeding, and is therefore safe for the baby. And, homeopathy can be used in conjunction with other healing modalities, including western medicine. I want to add – homeopathy can be helpful and healing to a mother whether the pregnancy is new, or one that was years ago. In both cases, the mother has noticed that she has not been well since that particular pregnancy, even ones that were years ago. I would be happy to talk with that person who is “never well since pregnancy homeopathic remedy”, or any woman that is not doing well since being pregnant. Either contact me here on this blog or through my website www.homeopathytoheal.com. Categories: classical homeopathy, homeopathy, Never well since, postpartum, pregnancy, Uncategorized | Tags: classical homeopathy, homeopathy, never well since, new mother, postpartum, pregnancy | Permalink. It is just about the start of flu season. I think we very often don’t know what to do about the flu. We become scared that we may get sick. And the media often adds to that fear. Some years we hear that the the particular strain of the flu is very virulent, and then it turns out that it was a mild season. We think, I most do anything so I and my family don’t come down with the flu. The first thing is to take good care of yourself and your family. Rest, eat good wholesome fresh food, drink liquids, wash your hands, listen to your body, exercise, go outside and get fresh air, do activities that you enjoy. If you do become ill, rest and sleep, drink fluids, eat if you want to, don’t eat if you don’t want, listen to what your body needs. If you do have a fever, a fever is the way your body heals itself. The heat of the body kills off the bacteria and/or virus. A fever is a good thing. Vitamin A, D and C are helpful. Homeopathy is helpful too. I think it is important to know that if someone does become ill with the flu, that there are ways to help with the healing, and not to be scared. During the 1918-1919 influenza epidemic in the USA, homeopathic physicians recorded that those patients treated with homeopathy had a much lower mortality rate than those treated with conventional medicine. There are homeopathic remedies that are helpful for when one feels ill from the flu. Often in a flu season, there are 2 – 3 specific homeopathic remedies that are good for that particular strain of flu. If you are not moving through the flu in a reasonable amount of time, then homeopathy could be very helpful. Observe how you are feeling, and select a homeopathic remedy that is similar to how your are feeling. To read more about using homeopathic remedies if and when you come down with flu, click here to read that post. Sometimes, someone goes through the flu fine, but then there are some lingering affects. The person may tire easily. There may be a persistent cough. Their appetite may not have returned to what it was before they had become ill. Someone may feel light headed; experience aches and pains; have an off and on low grade fever; or just not feel well. This lingering experience may be longer than a few months. For example, someone may have a health condition for several years, and when asked what was going on when this condition started, the person may say I had the flu, and it was back in 2012, three years ago. Homeopathy is helpful in these kinds of situations – not well since having the flu. 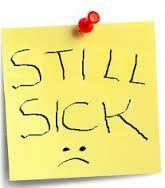 Click here to read more about never been well since the flu. The homeopath listens to how each person experiences what bothers them. With the flu, the homeopath is hearing how the person is experiencing the flu – what their symptoms are like; their emotional state; wanting to be alone or wanting to be with company; their thirst; aches and pains; fevers and more. A homeopathic remedy is then selected that is similar to this. This similar homeopathic remedy stimulates the person’s innate healing abilities, and the person starts to feel better. Homeopathy is safe, gentle, and non toxic. And to know too that it is safe for pregnant women and nursing mothers to use. It is good to know that if you do become ill with the flu, homeopathy can help and heal. If you have the flu, or are experiencing lingering affects of the flu, I invite you to contact me here on this blog or through my website www.homeopathytoheal.com. I would be very happy to talk with you. I offer a Get Acquainted Phone Call. Categories: classical homeopathy, flu, influenza, Never well since, nursing mothers, pregnancy | Tags: aches and pains, fever, flu, flu epidemic of 1918-1919, healing, homeopathic remedy, homeopathy, influenza, media, never well since, nursing mothers, pregnancy | Permalink. I know the flu season is technically over for this year. Sometimes, someone has had the flu, and has moved through it fairly well, but there may be some symptoms that linger, and this may continue for a period of time. The person may still be experiencing a lot of weakness, have difficulty breathing, running a low grade fever, feeling achy, and just not feeling well. This state may not be all the time. It may be at certain times of the day, such as at the end of the day. 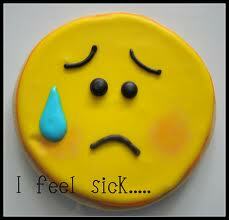 The person is just not feeling well, and are not back to the way they were feeling before they had had the flu. A patient I have seen for many years called me. She was not feeling well and had the flu. This was 4 – 6 weeks ago. I had her take the homeopathic remedy that she has been using, and it helped with the flu. About 2 weeks ago, she called and said that although the flu was gone, she still was not feeling back to herself. I had her take another dose of the remedy, but this time it didn’t help. She came in for a consultation, and I took her case to find out more about how, and what she was feeling and experiencing at this time. A different remedy was needed. She was having episodes, she would say, of needing to lay down because she was feeling very weak, and having a difficult time breathing, of taking deep breaths. She was worried about what was happening to her. She felt anxious, almost like a panic attack, but not so, she said These episodes would come on very suddenly, and she needed to go lay down when they came on. They lasted for awhile. This happened at any time of the day. And often when she did too much, so she was limiting her daily activities. I have not gone into complete detail about her case. It was slightly different from what she had been experiencing before, so I gave her a different homeopathic remedy than the one she had been taking, Actually, it was in the same family as the one she had been taking before. This new remedy helped her, and she started to feel better. This is an example of never been well since. Someone has been ill, as with the flu, or there has been a trauma, or a fall, or an emotional upset, and they haven’t been better since then. As a coincidence, I was talking to a woman this week at a meeting. She remarked during our conversation that she had been sick, and then was better, But the last three weeks she hadn’t felt well. I wondered if there has been a lingering of the flu, or something else had happened in her life, and there was a lingering from that. Perhaps, she too was experiencing a never been well since. Whatever the situation is, the focus is always on the person, the individual person. It is not treating the disease, which is really just a name or a label. It is always treating the person, finding out what is bothering them and how they experience it. Categories: classical homeopathy, influenza, Never well since | Tags: achy, anxiety, classical homeopathy, fever, flu, influenza, never been well since | Permalink. To continue with the idea of Never Well Since, I want to talk about if one’s life is not the way one thought it was going to be like. I know this doesn’t seem to relate to homeopathy, but it is how we respond to the events in our life that does make this post relate to homeopathy. Life will happen no matter what we do. We make choices that seem to be the best at that time. And we may look back and think, that wasn’t a good choice, or I am repeating the same pattern that I always do. It doesn’t matter it if was the right or wrong choice; that time is over. But we get stuck in this same thinking. The stuckness or suffering could be manifested in very negative and non- supportive thoughts, physical symptoms, emotional seesawing, difficulty concentrating, difficulty sleeping, digestive issues, not able to make a decision, and more. We cannot change our decisions or what has happened, but we can change or shift how we look at these things. respond to it, and then take action or not take action. At this time, we are coming from a pro active place, not a reactive one. Given the homeopathic remedy that is most similar to how we are experiencing our suffering, we then start to look at our life, at ourselves from a different viewpoint and are able to move away and out of where we are stuck. Also, any physical, emotional, or mental symptoms will also ease. The healing with homeopathy is not going to change our life situation, but it will change how we perceive ourselves, and therefore our life. 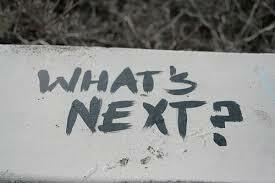 Maybe , we will pursue a different career or interest, move to a different location, or travel. When we are in a more healthy state, we become more of who we are, not of what we think we should be. This is a healing, a healing with homeopathy. Categories: chronic conditions, classical homeopathy, homeopathic remedy, Never well since, Uncategorized | Tags: classical homeopathy, healing, homeopathy | Permalink. Recently, I spoke to a woman who has been constantly tired. She said that this all started after she had a very bad fall. She hasn’t been well since, she said. Many times, people may not be well after they have had some kind of physical trauma or emotional loss or upset. Specifically, physical traumas are anything that has happened to the body, or changes to the body, such as: a surgery, a fall, a high fever, a course(s) of antibiotics, an infection, a pregnancy, a miscarriage, the flu, vaccinations, puberty, and menopause. An emotional trauma could be a loss of a loved one, a big disappointment, a divorce, a geographical move, a loss of a job, mistreatment, a war experience, and sexual abuse. There may be other types of traumas that I have not mentioned. Never well since means that the person has not been well since that particular trauma occurred. The person may have dealt with the trauma, and that was no longer an issue or concern, but they may have developed a particular physical, emotional or mental symptom or a health condition after this. Now this is their main concern, and they are not feeling well. Some of these health concerns could be: prolonged headaches, digestive issues, autoimmune diseases, depression, anxiety, hormonal imbalances, women’s issues, men’s issues, difficulty breathing, skin eruptions, eczema, hair loss, chronic fatigue, insomnia or other sleep disturbances, nightmares, phobias, fears, post traumatic syndrome, just not feeling well, and more. The person may have seen doctors or other health professionals for help, such as the woman who called me, yet they are still not feeling well. This is a good time to come to homeopathy. Homeopathy looks at the whole person, knowing that all the parts of the person are interconnected. This includes the prolonged response to the trauma that the person is experiencing – the never well since. Through the understanding of what the person is experiencing in their health concern, the homeopathic practitioner (homeopath) selects a homeopathic remedy that is similar to their suffering. The main principle of homeopathy is the Law or Similars or Like Cures Like. Each person is unique in how they experience their symptoms and health concerns. The given homeopathic remedy stimulates the person’s own healing process, and the person starts to feel better. Homeopathy is gentle in its healing and there are no side effects. It heals at the root of what is bothering the person. The person then is feeling better, and the never been well since is also healed. Categories: antibiotics, anxiety, asthma, depression, digestive issues, eczema, headaches, homeopathic remedies, indigestion, influenza, insomnia, Law of Similars, Like Cures Like, Never well since, pregnancy, Side effects, surgery, Trauma and recovery, Uncategorized, women's issues | Tags: antibiotics, anxiety, classical homeopathy, depression, eczema, homeopathy, indigestion, influenza, insomnia, Law of Similars, Like cures like, menstrual issues, pregnancy, skin eruptions, stomachaches, trauma | Permalink.